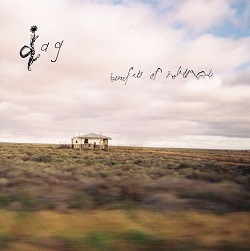 Melbourne-via-Brisbane band Dag is chiefly the project of songwriter Dusty McCord-Anastassiou. On their debut full-length LP Benefits of Solitude, Dusty and a cast of collaborators continue in the tradition of Australian guitar pop heavyweights such as the Triffids and the Go-Betweens, though with a sound that is more sunburnt than striped sunlight. Melodic and discordant in equal measure, Benefits of Solitude showcases the development of Dag’s song writing and arranging – the potential that could be heard in a string of earlier cassette releases is fully realised here. Vagabon's debut record is bursting at the seams with stories of life in New York City - that's hardly the sort of opening line that would generate much excitement in this cynic but it's the wide array of sounds on display here that sets this album apart. Infinite Worlds realises a collection of songs in a glorious spread of sound. It's the twists in songwriting and arrangements that really grab you - indie folk guitar noodling suddenly give way to MPC thump or the sort of rousing chords you'd find on the crest of a Built To Spill anthem. In fact, the only constant on the record is Laetitia Tamko's voice - close and breathy like she's letting you in on the deepest of secrets. 'Mal L Aise' flattens out into washy electronic territory before '100 Years' arrives with those sadly triumphant guitars and things keep undulating thereafter. It's an ambitious debut and sometimes spreads itself a bit thin - the pursuit of sonic diversity sometimes clouds the sharp songwriting underneath - but that ambition should be applauded. 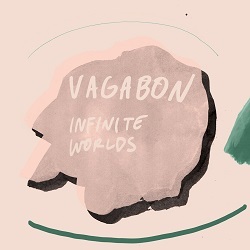 As indie rock continues to sit on the bench like 6 day old bread, Vagabon has produced a captivating and challenging debut record of outsider pop.